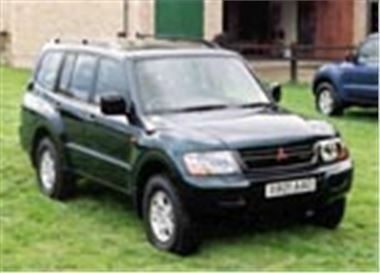 The Colt Car Company has announced a recall of current shape (2000 model year) 3.5 litre automatic Mitsubishi Pajeros imported from outside Europe. The recall does not affect UK market Shoguns or European market Pajeros. To find out what you've got, check the radiator. If you find a separate large-capacity oil cooler, then you have the European version and don't have a problem. If you find an integral radiator and oil cooler, then you do have a problem subject to a word-wide recall which affects 18,000 vehicles and you should contact your nearest official Mitsubishi dealer. European market Shoguns and Pajeros have a torque converter lock-up on second gear and above. But the automatic transmission change points are mapped differently for Japanese market Pajeros. In heavy traffic or when towing this can lead to an excessive number of changes in and out of first gear which overheats the automatic transmission fluid and splits the oil cooler fitted integral to the radiator. The cure is to fit the separate radiator and oil cooler of European market Shoguns and Pajeros.